The Management Committee (MC) is consisted of FOBTV Founding Organizations and other interested organizations appointed by the MC. The MC is responsible for setting the strategic goals for FOBTV and overseeing all of its activities, including the creation and dissolution of subsidiary committees, admission and expulsion of Participants, creation and modification of FOBTV policies, etc. Dr. Yiyan Wu is a Principal Research Scientist with the Communications Research Centre in Ottawa, Canada. Dr. Wu’s research interests include broadband multimedia communications, digital broadcasting, and communication systems engineering. Dr. Wu is an IEEE Fellow (2001), an adjunct professor of Carleton University in Ottawa, Canada and Shanghai Jiao-tong University. 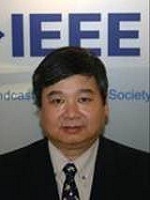 He is the Editor-in-Chief of the IEEE Transactions on Broadcasting. Namho Hur received the B.S., M.S., and Ph.D. degrees in electrical and electronic engineering from Pohang University of Science and Technology (POSTECH), Pohang, Korea, in 1992, 1994, and 2000. He is currently with the Broadcasting and Telecommunications Media Research Laboratory, Electronics and Telecommunications Research Institute (ETRI), Daejeon, Korea. He is a managing Director of Broadcasting System Research Department in ETRI. He was an Executive Director of Association of Realistic Media Industry (ARMI) in Korea. ARMI was established to promote realistic media industry including 3DTV and UHDTV broadcasting industry. Also he is an adjunct professor with the Department of Mobile Communications and Digital Broadcasting, University of Science and Technology (UST) in Korea since 2005 September. For the collaborative research in the area of multi-view video synthesis and the effect of object motion and disparity on visual comfort, he was with Communications Research Centre Canada (CRC) from 2003 to 2004. His main research interests are in the field of next-generation digital broadcasting systems such as terrestrial UHD broadcasting system, UHD digital cable broadcasting system, mobile HD broadcasting system, and backward-compatible 3D-TV broadcasting systems for mobile, portable, fixed 3D audio-visual services. The Advanced Television Systems Committee, Inc. (ATSC) is an international, non-profit organization developing voluntary standards for digital television. The ATSC member organizations represent the broadcast, broadcast equipment, motion picture, consumer electronics, computer, cable, satellite, and semiconductor industries. The Canadian Broadcasting Corporation was established in 1936 as the successor of the Canadian Radio Broadcasting Commission (CRBC). At that time, CBC/Radio-Canada encompassed eight publicly owned or leased stations and 14 private affiliates. Within one year, thanks to new transmitters, national coverage reached 76 per cent of the population, and included French-language broadcasting out of a station in Montreal.In September 1952 the first CBC/Radio-Canada television broadcasts began, in Montreal (bilingual) and Toronto (English). CBC/Radio-Canada’s strategic roadmap, leading up to 2015, is called Everyone, Every Way. It has three main thrusts: to make its already overwhelmingly Canadian content even more Canadian, to improve and extend its services to local communities, and to make significant investments in its online and digital platforms to bring programming and services to more Canadians in new ways. As Canada's federal centre of excellence for wireless telecommunications R&D, be a leading contributor to solutions for wireless demand in a modern economy. CRC’s mission is to perform wireless telecommunications R&D that advances the efficient exploitation of the radio spectrum, and serves as the government's leading source of scientific knowledge and technical advice for spectrum management, regulation and policy purposes and to take part in strategic R&D collaborations that leverage CRC's activities, resulting in knowledge and technology transfer that benefit Canadian industry, the economy and Canadians. The Digital Video Broadcasting Project ( DVB) is an industry-led consortium of over 200 broadcasters, manufacturers, network operators, software developers, regulatory bodies and others in over 35 countries committed to designing open technical standards for the global delivery of digital television and data services. DVB is probably best known for its transmission standards for satellite, cable and terrestrial delivery (e.g. DVB-S/S2, DVB-C/C2, DVB-T/T2) but it has also produced many other specifications for interfacing, conditional access and interactivity for digital video, audio and data. The EBU is the world's foremost alliance of public service media organizations, with Members in 56 countries in Europe and beyond. The EBU's mission is to defend the interests of public service media and to promote their indispensable contribution to modern society. It is the point of reference for industry knowledge and expertise.The EBU operates EUROVISION and EURORADIO. EUROVISION is the media industry's premier distributor and producer of top quality live sport and news, as well as entertainment, culture and music content. EURORADIO enhances public service radio through the exchange of music, professional networking and the promotion of digital and hybrid radio – to ensure radio remains a key protagonist in a multimedia world. The EUROVISION/EURORADIO satellite and fibre network is the largest and most reliable in the world directly plugged in to public service media everywhere. Established in 1976, ETRI is the largest government funded research institute in Korea, which strives to advance science by means of formulating innovative ideas; developing new techniques; and training professional individuals in the area of information telecommunications to ultimately enhance social and economic aspects of the modern society. With its vision of being "Smart & Green Technology Innovator", ETRI will continue to develop national strategy technologies, strive for the commercialization of growth engine technologies and to secure value creating intellectual property in creative and innovative ways for industrial development. To be one of world’s leading communications company is only possible with a lot of creativity, professionalism and investment on quality and innovation. Globo produces close to 2,400 annual hours of telenovelas and programs, as well as over 3,000 hours of telejournalism. Programs, series and interviews with a high standard of quality that every year, receive nominations in the International Emmy Awards. Presently, the network covers 98.6% of Brazil's territory, reaching 99.5% of the population with the greatest network of affiliated broadcasting stations of 122 spread over the states. More than 90% of the network's programming is produced in-house, which makes Globo the country's largest job provider for artists, authors, journalists and producers. Globo currently has approximately 12000 employees. The field of interest of the IEEE Broadcast Technology Society (BTS) shall encompass devices, equipment, techniques, and systems related to broadcast technology, including the production, distribution, wired and wireless transmission, propagation aspects and reception. BTS began in 1912 with the formation of the Institute of Radio Engineers (IRE). The merger of the AIEE and the IRE was accomplished in January, 1963 to form the IEEE (Institute of Electrical and Electronics Engineers). In 1976 the IEEE was organized into Societies, and broadcasting became a part of the IEEE Broadcast, Cable and Consumer Electronics Society.To respond to the more complex society structure and increased business activities, the Society established an Executive Office in 2001.BTS now has about 2,000 members and chapters worldwide, sponsors technical periodicals, provides support for technical meetings and has its own business office. The National Association of Broadcasters is the voice for the nation's radio and television broadcasters. As the premier trade association for broadcasters, NAB advances the interests of our members in federal government, industry and public affairs; improves the quality and profitability of broadcasting; encourages content and technology innovation; and spotlights the important and unique ways stations serve their communities.NAB delivers value to our members through advocacy, education and innovation. National Engineering Research Center of Digital Television (NERC-DTV) was established on June,2010 in Shanghai, China. NERC-DTV was founded to strengthen the technological progress and restructuring of China and the world's future television and broadcast media industry, speed up the pace of translating science and research achievements into practical productive forces, and to research and develop the next generation digital media technologies as well as maintain a rapid, sound development of broadcasting television industry. NHK (Japan Broadcasting Corporation), Japan's only public broadcaster, introduced a radio service in 1925 and a television service in 1953. NHK is financed by the receiving fee paid by each household that owns a television set. This system enables the Corporation to maintain independence from any governmental and private organization, and ensures that the opinions of viewers and listeners are assigned top priority. PBS is a private, nonprofit corporation, founded in 1969, whose members are America’s public TV stations -- noncommercial, educational licensees that operate more than 350 PBS member stations and serve all 50 states, Puerto Rico, U.S. Virgin Islands, Guam and American Samoa.PBS has transformed itself from a solely broadcast organization to a multi-platform leader that serves Americans through television, mobile TV, the Web, interactive whiteboards in the classroom and more. PBS reaches 120 million people through television and nearly 28 million people online each month. The Brazilian Society of Television Engineering - SET is a non-profit association of people and companies which aims to increase knowledge and perfect the use of technology for the production, processing and delivery of electronic audio and visual entertainment. SET´s annual conference held in partnership with an equipment show is the main industry event in Brazil and attracts growing international participation. SET also promotes regional seminars around the country, and catalyses Brazilian participation in the industry´s international leading events. Study groups on state-of-the-art technologies help their introduction in Brazil and a technical magazine is published. The objectives of ARIB are to conduct investigation, research & development and consultation of utilization of radio waves from the view of developing radio industries, and to promote realization and popularization of new radio systems in the field of telecommunications and broadcasting.Thus, ARIB aims at promotion to public welfare. ARIB conducts the following activities. Investigation, research and development on utilization of radio waves in the field of telecommunications and broadcasting. Consultation, education for popularization, collections and publications of information on utilization of radio waves in the field of telecommunications and broadcasting. Establishment of technical standards for radio systems in the field of telecommunications and broadcasting. Correspondence, coordination and cooperation with overseas organizations regarding utilization of radio waves in the field of telecommunications and broadcasting. Established in 1958, LG Electronics (LG) is a global leader and technology innovator in Home Entertainment, Home Appliance, Mobile communications, Digital display, Air Conditioning and Solar Power. The extensive range of LG products reflect LG’s goal of creating products to enrich lives every day and innovating almost every area of your life, from your pocket to your home. With 117 operations around the world, LG achieved global sales of USD 49 billion (KRW 54.26 trillion) in 2011. LG is one of the world’s leading producers of flat panel TVs, mobile devices, air conditioners, washing machines and refrigerators. Samsung Electronics Co., Ltd. is a multinational electronics company headquartered in South Korea and has been the world's largest information technology company by revenues since 2009. Samsung Electronics has assembly plants and sales networks in 61 countries and employs around 221,000 people. It has many business divisions including Digital Appliances, Digital Imaging, IT Solutions, Mobile, Networking, Semiconductors and Visual Display. Samsung Electronics has been the world's largest television manufacturer since 2006, is the world's largest mobile phone maker by 2011 unit sales and is the world's second-largest semiconductor chip maker by 2011 revenues. Samsung has also established a prominent position in the tablet computer market, with the release of the Android-powered Samsung Galaxy Tab. Huawei is a leading global ICT solutions provider. Through our dedication to customer-centric innovation and strong partnerships, we have established end-to-end capabilities and strengths across the carrier networks, enterprise, consumer, and cloud computing fields. We are committed to creating maximum value for telecom carriers, enterprises and consumers by providing competitive ICT solutions and services. Our products and solutions have been deployed in over 140 countries, serving more than one third of the world's population. Huawei's vision is to enrich life through communication. By leveraging our experience and expertise in the ICT sector, we help bridge the digital divide by providing opportunities to enjoy broadband services, regardless of geographic location. Contributing to the sustainable development of society, the economy, and the environment, Huawei creates green solutions that enable customers to reduce power consumption, carbon emissions, and resource costs. Sony Corporation was established in Tokyo on May 7, 1946 for the research and manufacture of telecommunications and measuring equipment. Its business has now expanded into Televisions, Digital imaging, Audio/Video, PCs and other networked products, Semiconductors, Electronic components, Professional solutions and Medical. Its major products include LCD televisions, video cameras, digital still cameras, blue-ray disc players/recorders, DVD players, home and car audio equipments, PCs, semiconductors, batteries, audio/video/data recording media and data recording systems, broadcast and professional-use equipment, medical-related equipments, etc. Dolby Laboratories is the global leader in technologies that are essential elements in the best entertainment experiences. Founded in 1965, Dolby is best known for enabling high-quality audio and creating innovations that enrich entertainment at the movies, at home, or on the go.Dolby Laboratories has been a leader in audio innovation. Beginning with Dolby® noise reduction, a form of audio compression and expansion that reduces background hiss in tape recording, Dolby Laboratories has developed many groundbreaking technologies, advancing the science of audio reproduction. Early on, Dolby decided that the company would manufacture professional audio products only, and license technologies that were appropriate for consumer applications. Since then, many Dolby innovations have set the bar for entertainment technology in both the professional and consumer markets. From the cinema to your living room, Dolby has transformed the entertainment experience. Today, Dolby technologies can be found in cinemas, professional recording studios, video games, laser discs, DVDs, mobile media, digital broadcast TV, digital cable, and satellite systems. RTRN is Russia's leading company in the field of terrestrial broadcasting through Russian Federation. It boasts over 700 sites and 14 000 TV transmitters across country, from Kaliningrad to Vladivostok. Its structure consists of 76 regional branches with the headquarters located in Moscow. Currently RTRN implements a nation-wide state program of creating a digital terrestrial TV broadcasting network based on the DVB - T2 standard, with the plan to fully switch from analog TV by Q4,2017. RTRN leading partners include the largest broadcasters in Russia: RTR, Channel 1, Gazprom-Media, National Media Group, along with around 900 smaller national and regional television stations. As part of the Innovation Development Program RTRN carries R&D.